← Can essential oil extracts reduce carbon steel corrosion? Hawaii's largest outdoor arena, Aloha Stadium, is seeking $30 million from state legislators to address several corrosion problems that have grown more severe over the past few years. An early February article from the Associated Press reported that The Aloha Stadium Authority is asking the state for $20 million in 2020 and $10 million in 2021 as part of its four-year repair plan. The stadium is located in Halawa, Hawaii, and has served as the home field for the University of Hawaii Rainbow Warriors football team since 1975. The recent push for large-scale repairs follows WJE's troubling structural integrity report, released in December 2018. Investigators found that approximately 200 weathering steel members and 85 panels of lightweight decking exhibit signs of severe corrosion. WJE's visual assessment also discovered that "essentially all" of the stadium's original protective coatings have deteriorated. Without strong anti-corrosion coatings, the arena's weathering steel members are completely exposed to the region's ecological and atmospheric risks. The study detailed the "highly variable" nature of the corrosion damage – the infrastructure did not show signs of uniform degradation, but instead suffered from a range of mild to severe damage to key structural components. In many of the most substantial cases, the steel surface of the stadium's support beams was pitted with prolonged corrosion. This represents a significant loss of steel that, according to the WJE, "causes a reduction in the structural capacity [of] the member or connection." 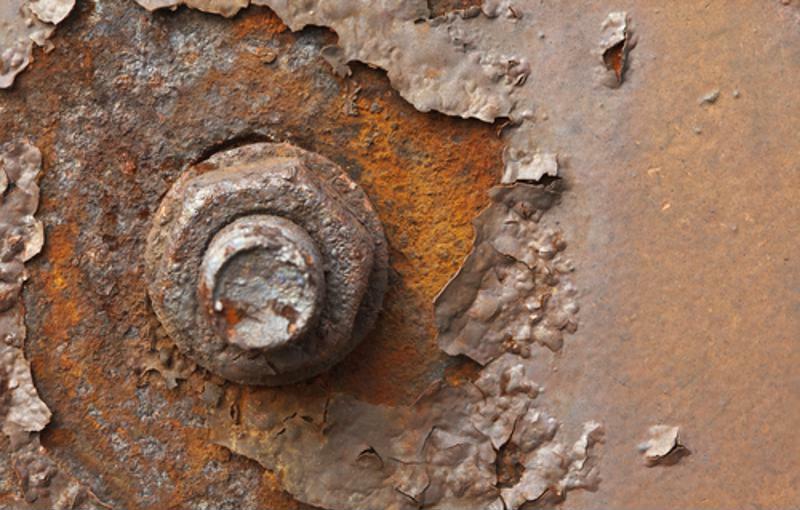 Signs of structural corrosion typically surface long before there's a serious risk of collapse. This is not the first time Aloha Stadium has undergone extensive investigation and repair. A 2006 article from the Honolulu Star-Bulletin detailed the state's proposal to spend $129 million on a five-year safety improvement plan, a project that was unable to completely address the arena's aging infrastructure. At the time, the most severe corrosion was discovered on the stadium's roof, which threatened the steel bolts that secured the roof to the structure. The cost of fully repairing the roof was estimated at around $11.9 million. The 2006 improvement plan also focused on replacing the stadium's aging grandstands and seats, which had not been refurbished since 1995. Rather than shutting down the arena for repairs, The Aloha Stadium Authority proposed a circulating maintenance schedule that would allow the stadium to remain operational during construction. In total, $32 million was needed to renovate the east stands in 2008 and $29 million for the west stands one year later. In 2009, the State of Hawaii launched a program to renew the protective coating system used to secure the stadium's metal components from environmental corrosion. The program involved the complete removal of the original coating system and the application of new, more effective coatings. While the project began in 2009, work on the replacement is still ongoing. Periodic visual assessment is a commonly accepted practice within the corrosion coatings industry, as it allows property managers to identify high risk areas before the end of a product's service life. The revised coating system applied over the past 10 years was based on a fluoropolymer top coat material, which has a significant resistance to solvents, acids, and bases. Despite its estimated 15-year shelf life, WEJ's 2018 study identified corrosion on several support structures treated with the newer material. While anti-corrosion coating systems provide exceptional protection for bare metal surfaces, they are, at best, temporary solutions. Even long-term systems, such as paint or plastic coatings, must be periodically maintained and replaced, especially in highly volatile environments. Anti-corrosion measures have undoubtedly improved over time, but they have not yet progressed to a sustainable level, highlighting the need for continued research and development. Material and environmental corrosion testing laboratories continue to innovate rapidly, which has led to the creation of new "self-healing" coatings that have not yet hit the commercial market. These laboratories work to gauge the durability and performance of building materials under naturally occurring conditions, which tend to vary between construction projects. Through their work, engineers develop a strong understanding of how corrosion can damage buildings, support structures and essential components, leading them to adopt more effective building practices at the building-wide and microstructural level.